Louisiana – home of the famous drive-thru daiquiri shops. With so many varieties, it’s hard to pass up 2-for-1 Tuesday and Thursdays, especially if you are a chocolate lover. Every daiquiri shop has a chocolate daiquiri recipe and while some places have the best, they are all ridiculously high in calories! What makes a chocolate bar daiquiri so good? The chocolate bar daiquiri tastes like a fudge popsicle but with alcohol – a woman’s dream! You can’t ask for more with those two combinations together. They make chocolate martini’s for a reason. But the downfall of those delicious chocolate daiquiris are the calories. My client’s freak out whenever I tell them that a medium or large daiquiri can be anywhere from 1,100 to 1,800 calories for ONE drink. 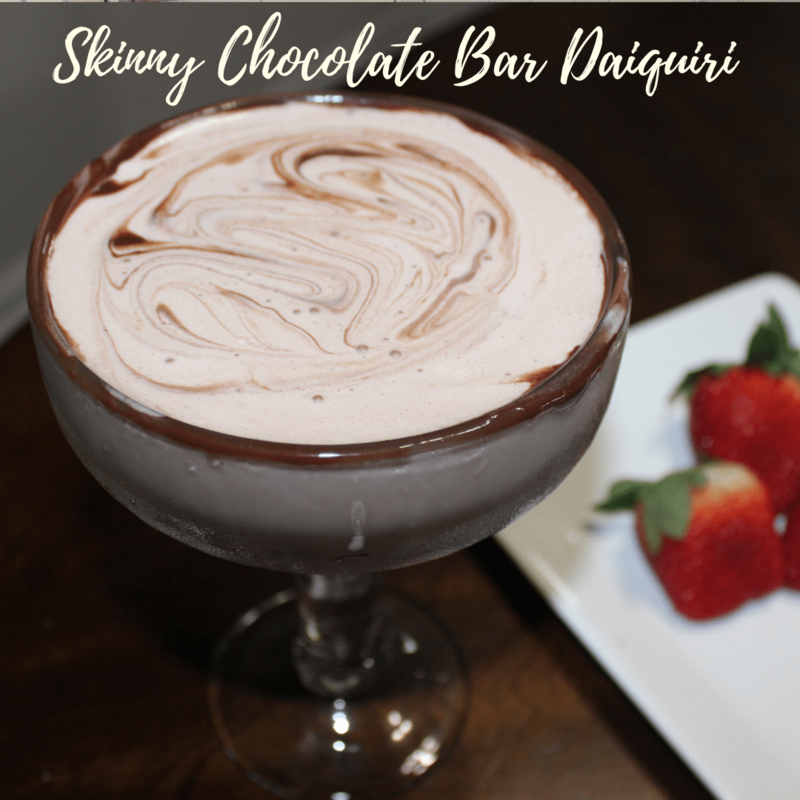 See the recipe below for your easy way to make a skinny chocolate bar daiquiri. It has all the taste of a traditional chocolate bar daiquiri, but without all of the added calories! It's low calorie and delicious! 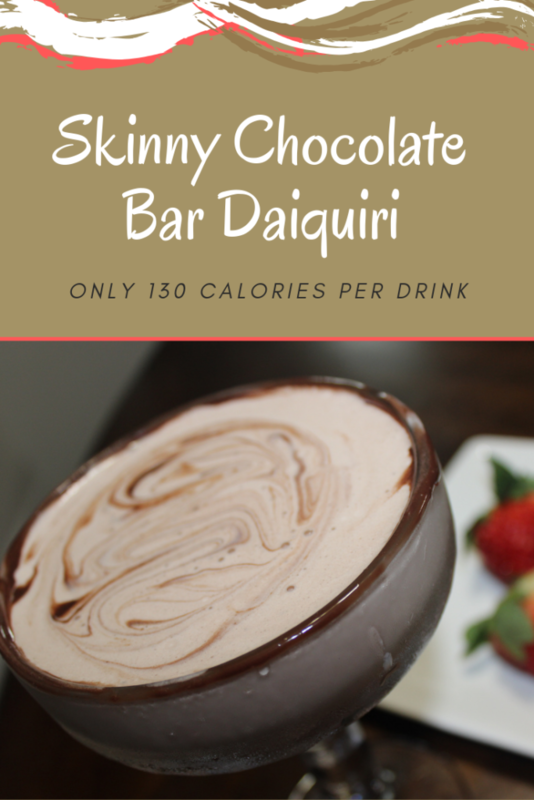 This skinny chocolate bar daiquiri has only 130 calories per drink, nearly 7x less calories than a traditional daiquiri! Optional: Line the top of glass with sugar free chocolate syrup.